"La ballata dell'amore cieco (o della vanità)" was the B-side of the next to last 45 released on the Karim label. The lyrics of this song are closely related to a French poem "La Chanson de Marie-des-Anges" by Jean Richepin. 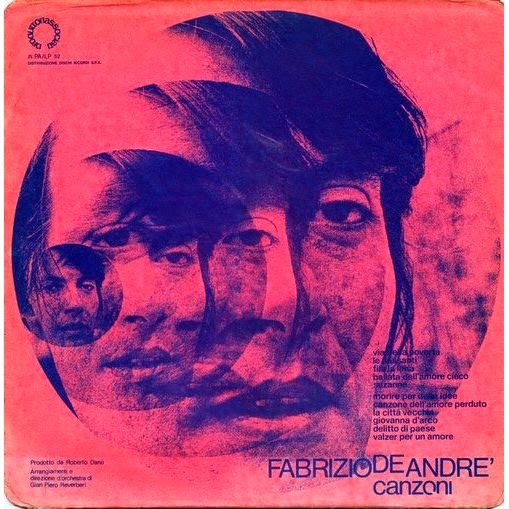 De André's father had studied French literature at university, and in the years following WWII De André grew up surrounded with books and music. One of his attractions was to the dark sensibilities of Baudelaire. The macabre lyrics of this song coupled with the lively music (Dixieland interludes!) show the influence also of George Brassens. And to his love he returned. Your final proof will be death.